The inner court of the University of Glasgow, Scotland, 1870. 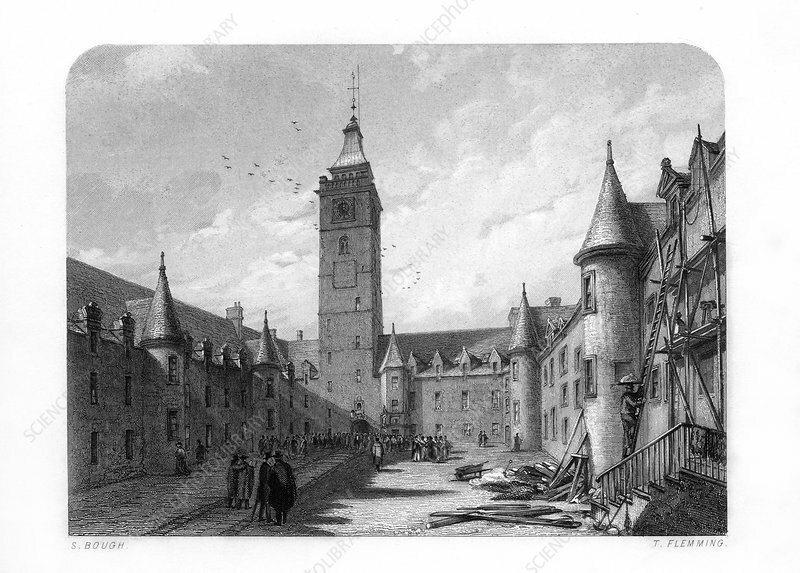 An engraving from Robert Chambers' A Biographical Dictionary of Eminent Scotsmen, Blackie and Son, (Glasgow, Edinburgh, and London, 1870). Artist: T Flemming.